Robert P. Buford, Peter Shea, Andy Stickney, eds. May Days: Crisis in Confrontation. Charlottesville: Published by the editors, 1970. ONE MIGHT IMAGINE that revolutionary sentiments would run high at the University created by one of our nation's great revolutionaries, Thomas Jefferson. But compared to Columbia University, the University of California at Berkeley and others, the move to protest here at the University gathered momentum slowly. 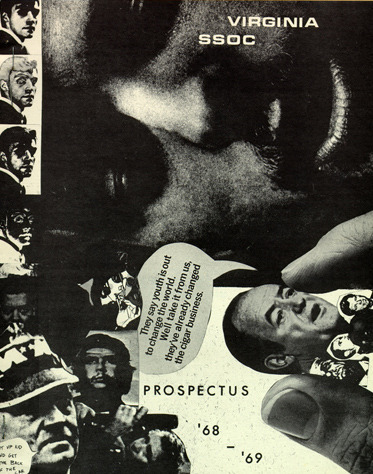 Radical student publications began appearing by October of 1966, with the appearance of the Virginia Patriot, followed in 1967 by the Virginia Weekly. The Sally Hemings' Newsletter came later, and each called in varying degrees for a radical departure from the status quo. President Nixon's decision to invade Cambodia in April 1970, and the killing of four students by National Guard troops at Kent State University on May 4, galvanized many of the University students and set off a wave of protests that in effect closed down the University for several days. Attorney William Kunstler and Yippie Jerry Rubin came to lend support, buildings were occupied, and marches were held down Rugby Road. Finally, on Friday May 8th, after a tense evening of protests and marches, 200 baton-waving policemen stormed the Lawn and arrested 68 students. University President Edgar Shannon read his now famous anti-war speech on the steps of the Rotunda two days later, and the volatile situation that had threatened to close the University, slowly subsided as students went home for summer break. 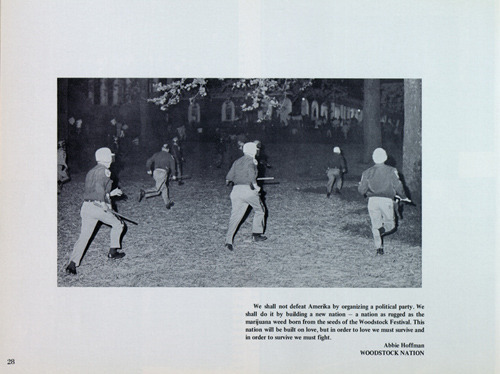 THIS BOOKLET IS a pictorial account of the days of student unrest on the campus of the University of Virginia in May of 1970. The Virginia Patriot. October 3, 1966. 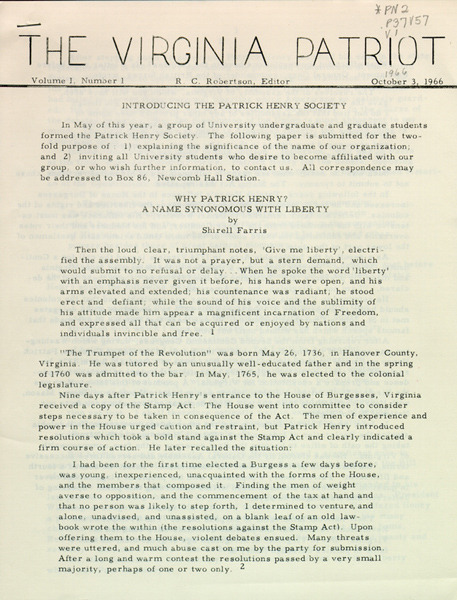 Charlottesville: Patrick Henry Society, University of Virginia, 1966. AN EARLY UNDERGROUND newspaper put out by the Patrick Henry Society whose members dedicated themselves to various causes concerning liberty. 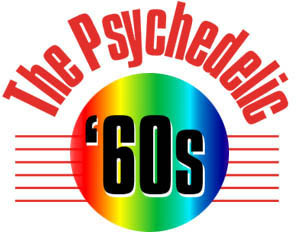 The first issue appeared October 3rd, 1966. 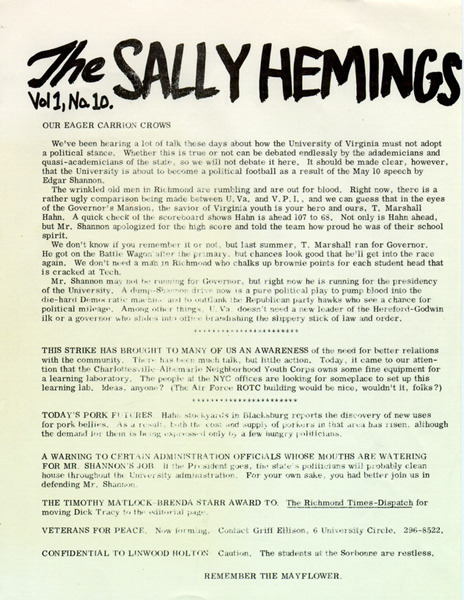 NO ONE EVER claimed responsibility for 'Sally Hemings' but the newsletter was handed out in Room 50, East Lawn, the headquarters for the University of Virginia Strike Committee. The newsletter appeared just after the killings at Kent State. Virginia Southern Student Organizing Committee Prospectus. Richmond: Virginia State Office SSOC, 1969. NATIONAL ORGANIZATIONS SUCH as SSOC and SDS, Students for a Democratic Society, were active at the University of Virginia. They spread the word of national political events, recruited new members, and were active in organizing events on campus. Shown is the prospectus for the Virginia chapter of the SSOC. Address by Edgar F. Shannon, Jr. May 10, 1970. 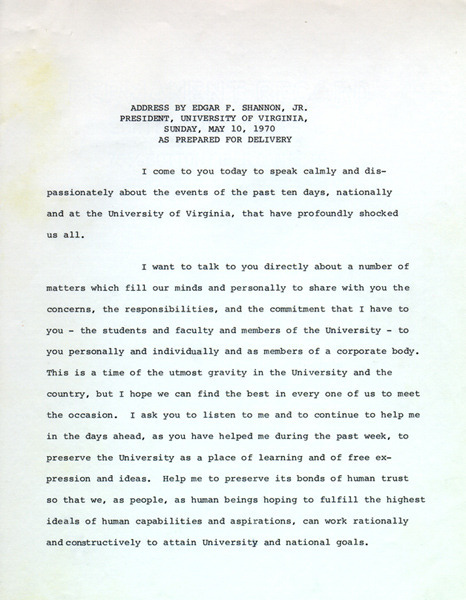 IN RESPONSE TO the continuing attempts by students to shut down the University, and in response to the police efforts to quell the demonstrations, University President Edgar Shannon addressed the students on the steps of the Rotunda on May 10th, 1970. Though not well received at first, the students cheered wildly when, towards the end of his speech, Shannon gave his own views as to the United States' involvement in the Vietnam War. He wrote, "I know your anguish over the military involvement in Southeast Asia. I want promptly to end the war. I feel furthermore it is urgent that the national administration demonstrate renewed determination to end the war and the unprecedented alienation of American youth caused by that conflict. I have conveyed that alienation in a letter to our senators." President Shannon was widely criticized in the press for this address that was viewed as an appeasement to radical students. BOTH EVENTS WERE sponsored by the Southern Students Organizing Committee. 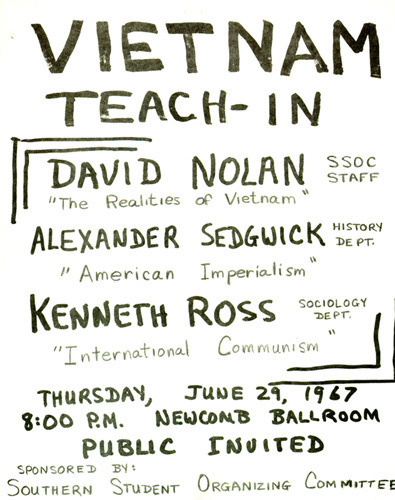 The "Vietnam Teach-In" featured lectures by University faculty members Alexander Sedgewick and Kenneth Ross along with SSOC staffer David Nolan.